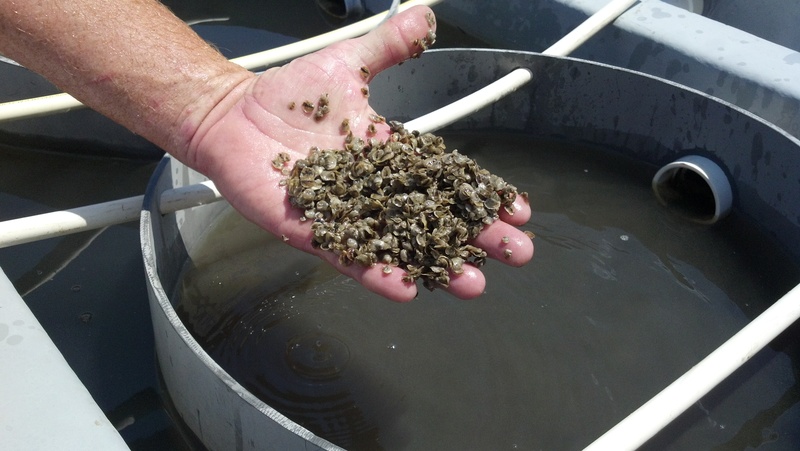 Jimmy Morris is the only hatchery in North Carolina, serving aquaculture operations all along the East Coast and the state’s oyster restoration program. The process would he easy, he says, except that crops of larvae die periodically – for a variety of unknown reasons. Figuring out how to cater to the sensitivities of these shelly babies is a skill few-and-far between in the world of aquaculture and that makes his operation one of the most important businesses in both the region and the industry. Not everyone who wants to start an aquaculture farm has the privilege of picking up their family, leaving their job, and moving to a rural area. Note I didn’t say small town – many of the same rules apply to small towns as large cities. I mean at least a few miles from Main St. Not to mention, there’s lots of vacant lots right now in the sluggish real estate market that could be put to good use. That’s exactly what Rob Ellis decided when he opened Astor Farms in Charlotte, his hometown. He grows tilapia in an abandoned DHL warehouse near the Charlotte airport. And he shared his story at the NC Aquaculture Development Conference last week in New Bern, NC. Lest you think aquaculture is like your childhood fish tank on a larger scale, let me remind you of the plecostomus in that tank. You know, the thing that sat stuck to the back of the tank behind the plant so that the family could never quite find it. Yet somehow, despite the fact that you could swear it never moved and could have been a stone decoration rather than an organism, this little helper kept every surface of that tank sparkly clean. Algae-free glass, gravel, and plants. But what if you have large, outdoor ponds and each mouth to feed costs you money if it doesn’t eventually end up as dinner? This is exactly when you have to stop thinking of these operations as just a tank of fish. They are nestled in the surrounding ecosystem, full of naturally occuring algae – some good and some bad. For eastern North Carolina, both the wind and the tide might carry in some future algae blooms to your tanks, which are well-stocked with nutrient-rich fish poop to feed it. Instead, as NC Aquaculture Conference speaker DE Brune puts it, you have to think of your tanks and ponds as “designed ecosystems”. This past Friday on the banks of the Neuse in New Bern, NC, people interested in aquaculture in the region gathered to discuss the future. The group packed the ballroom in the Hilton with scientists, extension agents, interested citizens, and of course – producers. The afternoon before some attendees had the chance to visit farms in the area firsthand, one of which I’ve previously written about (White Rock Fish Farm). Friday held talks on the science, economics, and policies of aquaculture. Saturday morning wrapped up with freshwater and saltwater workshops tackling the details of growing fish. Parallel to the whole event was a trade show exhibiting the myriad food options available, water quality testing technology, cages and nets, greenhouses, and contacts for state programs. Friday night, there was proper celebration of aquaculture in the form of the Aquafood festival showcasing products from around the state. Take home message from the event? I left wanting to put a tank in my small Beaufort yard alongside the goats, chickens, and vegetable garden. 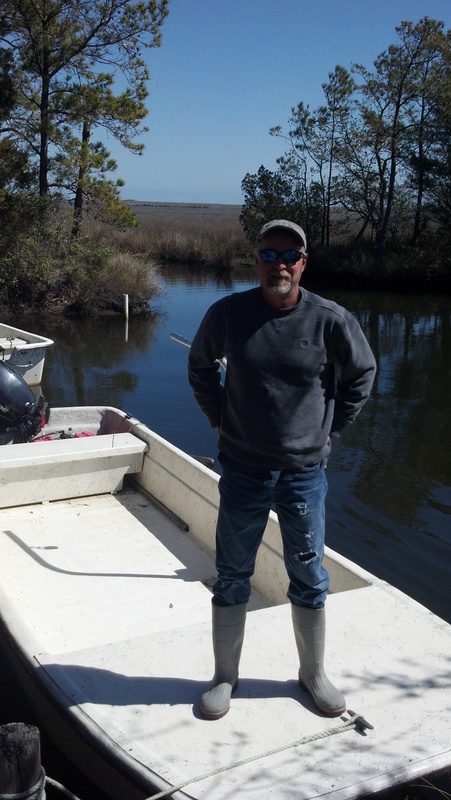 “It’s a mom and pop operation, you could say”, described Ted Davis, owner of White Rock Fish Farm in Vanceboro NC. His smile extended ear to ear as he talked about his farm – and the length he goes to ensure his fish are never stressed on their way to the market. The trick? The farm’s small size – 8 ponds – allow the fish to be harvested by hand, each one receiving individual attention on their way to a shipping container. Another thing that makes his farm special? The hybrid striped bass have personality. They’re scared of tractors, eat more when there’s algae in their pond, and elicit hugs from visiting children. This year we’re starting a new series highlighting the many faces of aquaculture in eastern North Carolina. From research facilities to new species under domestication to large facilities to feed the masses, there’s a lot going on in the state’s low-lying coast. Periodically, we’ll visit one and bring you pictures and stories from the operation. Stay tuned for more. 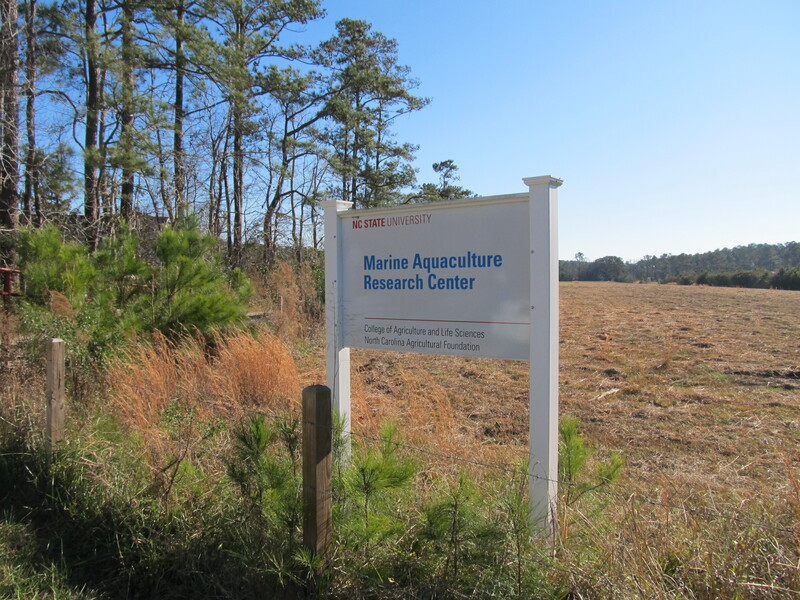 Tucked on the banks of Sleepy Creek between the two small towns of Marshallberg and Smyrna, NC, a world of new aquaculture ideas grows – NC State’s Marine Aquaculture Research Center. A single building with large tanks behind emerged from the landscape as we drove down the dirt farm road that connects the property to the main road. Originally planned as a three-building complex, recent budget cuts felt throughout the state have made the operation smaller – but no less important. The facility houses projects for anyone with an idea for how to forward aquaculture in the 21st century – be they local researchers, students, or people already in the industry. The two major projects happening during our visit are a comparison of hybrid and striped bass feeding efficiencies at a variety of temperatures and continuing development of a waste-management strategy for tank effluent water. There was also a red porgy mating effort and mud minnow spawning setup.